Business analysts are vital to organizations that want to make the most of their data. Here are 10 boot camps to help you become a business analyst or advance your career in business analytics. Business analysts are in growing demand as companies look to capitalize on the data they collect. 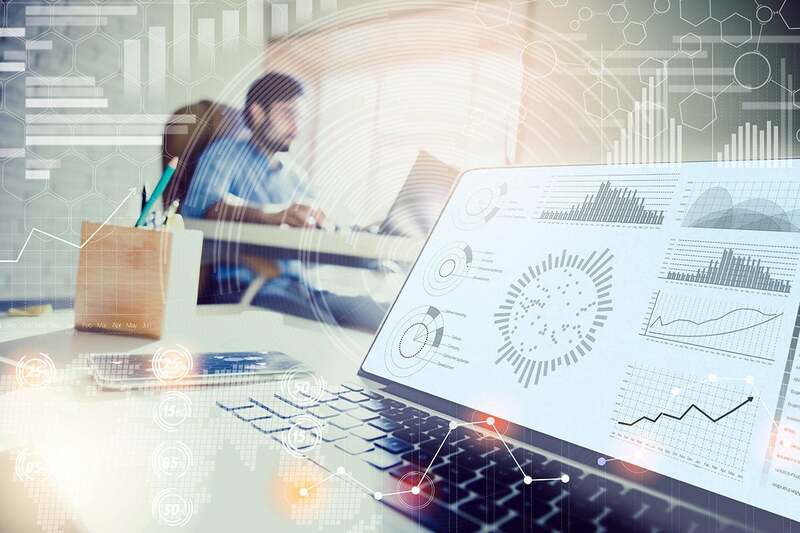 To help organizations uncover data trends and find areas that need improvement, business analysts must be strong analytical thinkers, with technical knowledge of tools such as SQL and Tableau, and have research and communication skills to boot. It’s a lucrative role, with an average reported salary of $67,000 per year, according to data from PayScale. The most popular skills sought by employers are requirements analysis, project management, data analysis and Microsoft Excel. If you need to learn any of these skills or brush up on your business analysis knowledge, try out any one of these 10 boot camps for business analysts. The Advanced Business Analytics Specialization from Coursera includes five courses and was created by the University of Colorado Boulder. It focuses on advancing your business analytics skills through business problems and data sets. You’ll have the opportunity to build conceptual and database models, interpret data output, develop models for decision making, practice data extraction with SQL and present your results and findings. EdX offers a few courses designed for business analysts, including two courses from University of California Berkeley and Columbia University that focus on Marketing Analytics. The course from Berkeley lasts four weeks, with a five- to seven-hour commitment per week. The course from Columbia runs for 12 weeks, with an eight- to 10-hour commitment per week. Both courses focus on the unique needs of a business analyst working in marketing or with marketing data. Skills include competitive analysis, market segmentation, communication, monetization and customer relationship management. Udemy’s Business Analysis Fundamentals is designed to give you an entry-level education on business analysis. You’ll learn about software development life cycle, modeling techniques and elicit requirements. It’s a great way to dip your toe into business analytics to see whether it’s the right role for you. The course also covers the responsibilities and daily tasks of a business analyst. The Udacity Business Analyst Nanodegree is for anyone that wants to change career paths and start working with analytics. You don’t need programming skills to enroll, as the course promises to teach you everything you need to know about the software and tools you’ll use as a business analyst. Enrolling will also give you access to Alteryx Designer and Tableau Desktop, two popular analytics and data visualization tools. You can start with a one-week free trial if you want to test the program before jumping in. Bob the BA is an IIBA endorsed education provider and the course is aligned with the BABOK 3.0, therefore all courses you take count as professional or continuing development units to earn or maintain your IIBA or PMI certification or recertification. There are several business analytics courses offered through Bob the BA online, in-person or in the enterprise. Businesses can opt for a custom four- or five-day workshop that will help develop business analytics talent within the organization. Individuals can choose from a number of courses that range from entry-level to advanced. The Business Analyst Boot Camp from ASPE Training prepares you for a career in business analytics, but it also counts as professional credits towards your IIBA, NASBA or PMI certification. The course covers the fundamentals of business analytics before moving on to the intricacies of eliciting detailed requirements. Individuals can opt to take the course online or in person. There’s also an option for a discount on in-person group pricing; with two or more people the registration fee is $2,495 per person. Business can also choose to have ASPE create a customized program for their organization at a negotiated rate. The IAG Consulting Business Analyst Boot Camp is a five-day workshop that hits on requirements gathering, analysis and documentation. Individuals can’t take IAG’s course, but businesses can bring the boot camp to their organization to help train business analysts. Courses can hold up to 12 people and will also count towards all participants’ professional and continuing development credits for certification or recertification. BA-Squared was created by requirements expert Angela Wick, who says she is determined to help businesses bring “innovation and creativity to requirements practices.” It’s designed specifically for businesses that want to bring training directly to their organization, but there are more flexible options for online training and flexible learning schedules. In-office boot camps and workshops can be held in the traditional format, or you can choose to teach your employees virtually in half-days, multiple 90-minute sessions or monthly workshops. The Learn IT Business Analyst Boot Camp is designed for those already working as a business analyst or in a related position. Learn IT says the course is also good for systems analysts, project managers and team leads, systems architects or designers, IT managers and directors, systems or applications developers, QA professionals and systems testers. The course covers the role of a business analyst in the workplace as well as everything you need to know about requirements best practices. Global Knowledge offers a number of training courses for business analysts, but the Business Analysis Essentials course is a great place to start. There are online courses you can enroll in, but there’s also in-person courses held in New York City. It’s also aligned under the IIBA and PMI standards, so courses will count towards your certification or recertification. Global Knowledge promises to teach you how to verify and validate product requirements, gain approval and manage all requirements through the lifecycle of the project. You’ll take part in hands-on activities and interactive group project taught by experts in the field.